Who doesn’t like nice soft clothes? 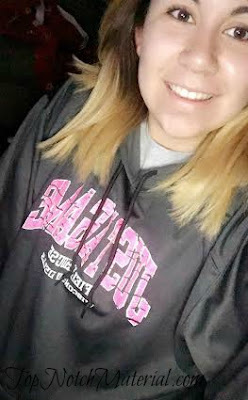 One of my favorite items to wear is a sweatshirt and oddly enough that’s my daughter’s favorite thing as well. After washing them so many times they aren’t as soft anymore. 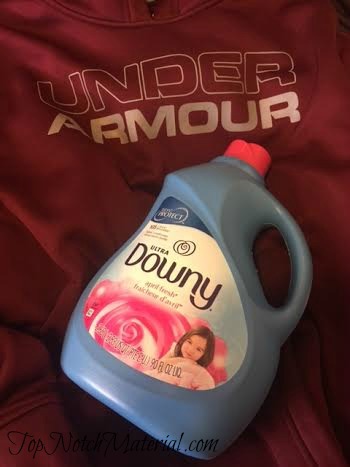 I recently discovered Downy Fabric Conditioner, and love it. This isn’t something that you add to the dryer once clothes are already washed. You add Downy Fabric Conditioner in with the washer. This way it’s really mixed in. I could really tell a difference after one wash and even more so after a second. Instead of losing their shape, clothes bounce back to their store-bought form. Towels are protected from pilling and fuzz. Since this did such a good job on my sweatshirt, my daughter asked that I wash her’s in it, then we went to the towels. I hate when I step out of the shower and my towel is scratchy, stiff and just not soft. It’s so nice using Downy Fabric Conditioner because it makes my towels just how we like it. How does Downy do this? The science behind fabric protection: During a ride around the washing machine, garments pull stretch, and rub together. Downy conditions, strengthens, and lubricates each fiber to protect clothing from the friction, and agitation of typical washing cycle. 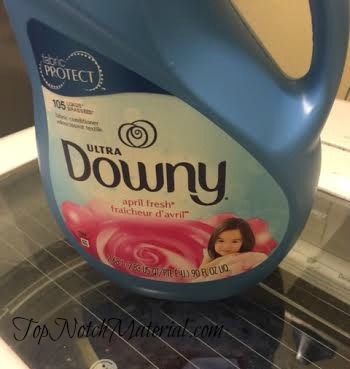 You can buy Downy at your local Walmart, or if you aren’t going and want it sooner, you can buy from Walmart.com I would definitely check it out the next time you are there. I am very sensitive to how fabric feels and love it when my clothes feel soft and not scratchy. If it can help protect against pilling, I'd love it! I have also wanted to try their newest version of the Wrinkle Release formula. Ironing hater here!